The Australian Pet industry includes more than 4.1 MILLION dogs and more than 3 MILLION owned (spoiled!) cats, and only around 4000 pet groomers. Pet Grooming is a rewarding career improving animal welfare and being paid to work artistic magic on dogs, cats, and sometimes even angora rabbits and long haired Guinea Pigs. Some people are just dog groomers, others work across all the species. You can work part time, casual, full time and you can own your own business or work for someone else. There is a national shortage of senior level groomers, but you have to start at the base levels and work your way up! What do you need to be a good pet/dog groomer? a decent work ethic – you work hard, but you get to really see the positive results of your work! a willingness to learn – pet or dog grooming is a more highly trained role than most people think! a willingness to get on with people – pets have owners who love them! not be too squeamish – a normal part of the job includes dealing with faeces, urine and slobber. Disability is NOT a barrier – the Australian pet grooming industry includes many people with disablities including intellectual disabilites, some physical disabilities, and deafness, for example.With the right work ethic, ability to work in a team, and willingness to keep learning, anything is possible. International Students are NOT a barrier! Australia has excellent visa schemes to allow people to study in Australia, and provided you choose a quality training provider, you will be trained at ‘world standard’ level. Australia welcomes overseas students and Pets Australia can also help with course selection, accommodation recommendations and career progression. Note that training in Australia does not provide a guarantee that you will be allowed to stay in Australia after your course is completed. So do you still think you want to be a pet or dog groomer? You WILL need training – if you hold yourself out to be a pet or dog groomer without training, you may be sued by angry clients for misleading and deceptive behaviour! NOTE! “Online” courses are NOT recommended, as pet / dog grooming is a hands-on competency. You will need one-on-one teaching both to develop the skills you need to an acceptable standard, & develop commercial speed. Many students doing online courses have difficulty getting work placement, and a number have complained of finding it difficult to get employment. CHECK FIRST. Basic Dog Grooming & Care is a “Home Grooming #101” one day intensive course for those who want to learn to properly care for their pet’s coat at home. It’s also a great “taster” day for those thinking about grooming as a career but don’t want to pay the around $2K course cost for a technician course. 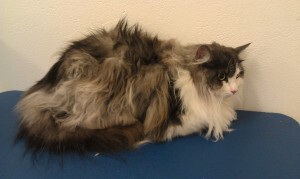 BEFORE: Thanks, Reeda for the pic of Kobi! This is the ‘base level’ for dog or employees in the grooming sector, and is really a person who can competently bath, brush, demat, shampoo, condition and dry a pet, with clipping skills for the sanitary areas, feet, and some summer clipping. It allows you to operate a mobile dog wash service with competence and confidence, or become a salon assistant in a grooming salon. Courses include the Certificate III in Animal Studies at any TAFE that runs these courses including TAFE WSI in NSW, or the equivalent at private colleges including the Pet Stylist Academy in Queensland. Pets Australia also operates the Grooming Technician course through many of these quality training centres, and courses are also run at quality salons including Pet Design in Manly NSW. You can see these courses by keeping an eye on our “Events” pages for dates and locations. AFTER: Thanks Reeda for the photo! At the end of this training, you can call yourself a bather/brusher, or if you have done the Grooming Technician course, call yourself a Grooming Technician. You can work as an assistant in a Grooming Salon, or operate a mobile dog washing business. This the training level you commonly see for stylists in grooming salons, or as “novice” or “open” competitors in dog grooming competitions. There is no TAFE Certificate for this level except for Cert IV in Grooming which when taught well actually produces a level slightly higher than “Pet Groomer”. A number of private colleges do teach Grooming well, but CHECK FIRST. Costs vary widely and so does quality, and the number of animals you groom as a student. At the Pet Stylist Academy in Queensland, your prior studies in the Grooming Technician course will count as Recognition of Prior Learning, if you continue to studies to Groomer level. At the end of this training, you can call yourself a Groomer. If you with to have your skills validated, or have developed these skills without formal training and certification you can apply for a competency audit and become a LICENCED GROOMER (a bit like a CPA for Accounting). 4. Step 4: The Master Groomer or Salon Manager level. At this level you see a divergence of training. Pet/Dog groomers tend to specialise in a particular breed group (eg Terriers) or they study for the International Certified Master Groomer Scheme (dog grooming) or National Dog Groomers scheme, or they develop skills in Creative Grooming and study for the National Association of Professional Creative Groomers (NAPCG), or they develop special skills in cat grooming and study for Certification by the National Cat Groomers Association or Feline Master Groomer. Most of these courses are run out of the USA, but are presented locally in Australia. 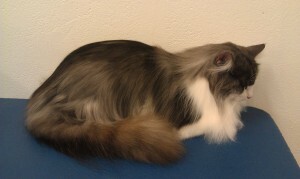 Thanks to Emily from Pet Stylist Academy for “Captain Jack”! Groomers at this level would be expected to be at a level to compete in dog grooming competitions, possibly at “open”, “level 3” or “masters” level. Alternatively, groomers may specialise in running successful salons, perhaps by undertaking a Cert IV in Business Studies through the TAFE system. The choice is yours! keep watching the “events” site for short course options. Join Pets Australia to get one-on-one assistance in developing your grooming career, networking, setting up your grooming business and other help to get you going!